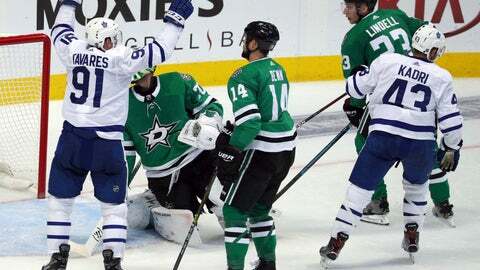 NOTES: Matthews has scored two goals in three games this season. The power-play goal was his second. … RW Valeri Nichushkin (lower-body injury) made his season debut. He was playing for the Stars for the first time since 2015-16 after playing the last two years in Russia. … Toronto C Frederik Gauthier played in his first game this season. Maple Leafs: Visit Detroit on Thursday.